After a great success in 2017 in Prague, with more than 1200 attendees and 120 booths, Sigfox World IoT Expo is back in 2018 and becomes Sigfox Connect! This groundbreaking IoT experience will offer lots of opportunities for networking, creating new business partnerships and discovering new industry trends. Sigfox Connect is the place where key worldwide IoT players meet. 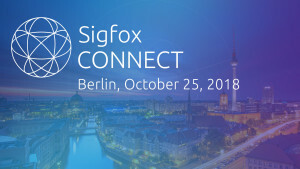 This year, join us in Berlin to be part of the Sigfox Connect experience. Discover a fantastic line-up of speakers across the two days, workshops and an exceptional exhibition area. The entire Sigfox ecosystem will be there, including worldwide Sigfox operators, clients, device makers, distributors, start-ups, universities and many others! Since 2010, Sigfox has embraced the mission to “give voice to the physical world” by connecting objects together. With this event we take a step further and start connecting people towards a common goal: listening to what the physical world has to say. Sigfox Connect is the place where Technology and Business converge to create a smart connected world. So why attend Sigfox Connect? Create new business opportunities: with stakeholders from all over the world attending the expo, this is a real opportunity for you to meet with key actors. Let it be the start of groundbreaking business decisions. 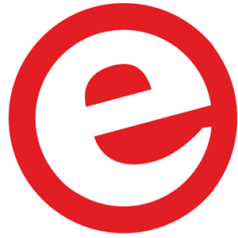 Meet and interact with the evergrowing Sigfox ecosystem: From devices makers to platform providers, including large companies that are already using Sigfox enabled solutions to resolve the challenge they face in their industries, this is the very first gathering of an entire IoT ecosystem, where you will have the chance to discuss with all the actors of the IoT value chain. Lear more about the real IoT opportunities and challenges: The conference program will approach various aspects of the IoT. Don’t miss this chance to learn more about real technology challenges.